Windows Live Hotmail Wave4 M1 update introduced new keyboard shortcuts to match both Yahoo and Gmail. A new Options page lets you choose what type of shortcuts you’d like to use. Just follow these steps: 1. Go to Options. 2. Click More Options. 3. 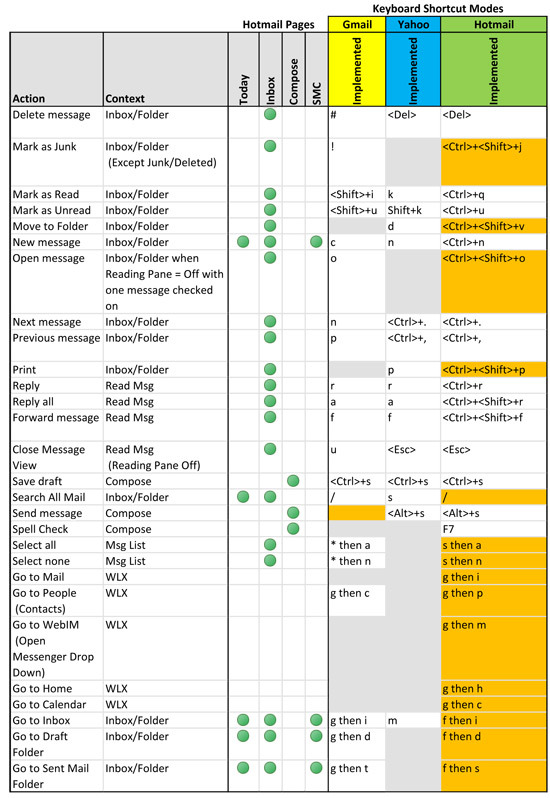 Under Customize your mail, choose Change keyboard shortcuts. 4. Select which mode you’d like to use: Turn off keyboard shortcuts, Hotmail and Outlook Web Access (OWA), Yahoo! Mail, Gmail. Note: The Yahoo! Mail and Gmail modes support many of the shortcuts from those services. 5. Click Save.